Chris Froome was in somber mood on Friday as he paid tribute to all those affected by the Nice attack. Team Sky's leader extended his advantage in the Tour de France general classification to one minute and 47 seconds with a second-placed finish on stage 13, behind Giant-Alpecin rider Tom Dumoulin. But he was in no mood to celebrate in the wake of the shocking attack elsewhere in the country on Thursday, which saw 84 people killed. 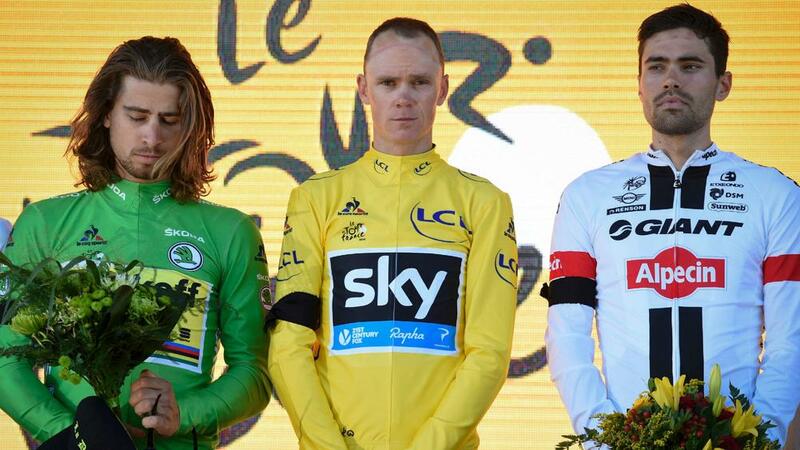 "I gave my everything today but, it's too sad," Froome said. "It's the strangest moment of my career. It's difficult to talk about today's stage. With what is happening in France, it gives a different perspective about the race. "My thoughts go with all the families in Nice and those affected. I do a lot of training on those roads. To see the promenade with all the dead bodies and the horrific scenes is devastating. "I express my deepest sympathy and my condolences to those who lost their loved ones."